Brussels: ArcelorMittal SA, the world’s largest steelmaker, said on Thursday a summer dip is deepening into a second-half slump, with even lower steel shipments expected in the fourth quarter than the third and some investments scrapped. ArcelorMittal, which makes between 6 and 7% of global steel, said customers were increasingly cautious due to economic uncertainties, such as the risk of recession in developed markets and policy tightening, leading to slower growth, in China. The Luxembourg-based company said its core profit (EBITDA) fell 29% in the third quarter from the second to $2.41 billion, at the bottom of its previous guided range. “As the macroeconomic environment slowed during Q3 customers adopted a ‘wait and see´ approach which impacted volumes. 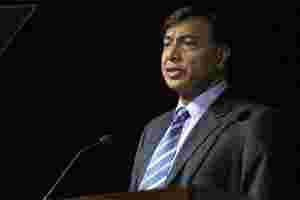 In addition, prices decreased during the quarter," ArcelorMittal said. It said it had postponed some planned steel investments and that its capital expenditure in 2011 would now be below its previous guidance of $5.5 billion. The company said it still believed its core profit would be higher in the second half of 2011 than a year earlier, when a sharp slowdown and a margin squeeze drove it into a fourth-quarter loss. However, for the first time in years, it did not give specific guidance about the following quarter. ArcelorMittal now has more mining income to soften the blow of a slowdown and has told investors it is better braced to weather a recession than in 2008/2009, because of savings made to date and an improved balance sheet. The steel group said it was on track to boost iron ore production by 10% and coal production by 20% in 2011. ArcelorMittal’s comments mirror those of US and Asian rivals, which have already forecast weak demand and prices stretching into the fourth quarter, when a pick-up from a seasonal third-quarter dip might normally occur. World number three Posco gave a gloomy outlook in October with a decline in profit in the final three months of 2011 and steel prices falling until the first half of 2012. US producers such as Nucor and US Steel have warned of weak demand for the rest of the year and imports driving down prices.